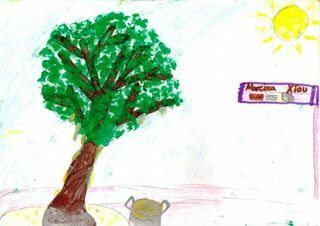 A radio show dedicated to Chios Mastic tree and the activities of our school to promote it and to get the public acquainted with it. It is part of the Cultural and Environmental projects implemented by our school as well as the Erasmus+ project “Green Skills for Social Agriculture”. The show includes a telephone interview with Mr. Spyrakis Responsible of the Center for Environmental Education of Homeroupolis Chios, and the students of the E class, and for a live interview with Mrs. Amygdalou Sales Manager of Mastiha Shop by the pupils of the 5th and 6th grade of our school. Learn how Chios Mastic is important for culture, economics and your health! Responsible teachers: Marinou P., Diamandakis V., Petrou A., Kalatzi K., Dilaveri V.
Composer of the E1 song: Theodosiou K.